Work area 15,000 sq. ft.
Distribution Transformer from 16 kVA to 4,000 kVA in Copper & Aluminum wound. Distribution Transformer in 11 KV, 22 KV & 33 KV configurations. On Load Tap Changer Transformer with AVR Relay & RTCC panel. Unitized sub-station of 11 KV configuration. Repair & Maintenance of Transformer. Manufacturing Team strength Team of 40+ trained & experienced technicians & 6+ member team of Designers & Testing Engineers. CRGO Used Only imported CRGO from POSCO IDPC used in manufacturing of transformers. Oil Used Only 1st grade oil imported directly from Oil manufacturers is used. 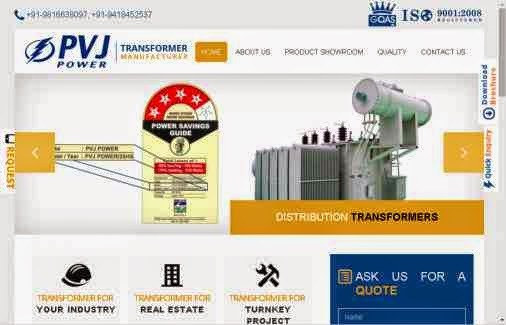 Transformers are an integral part of power systems with applications in industrial facilities, commercial buildings and utility transmission and distribution networks. PVJ’s liquid filledPower Distribution Transformers range from 10 kVA to 10,000 kVA, with primary voltages up to 33 kV. The core and coil design is a unique characteristic of PVJ’s oil type transformers, which generate the reliability, durability and reduced dimensions required for their application in utilities, industrial installations and public distribution. PVJ oil type transformers are manufactured in accordance with the international quality standards ISO 9001. PVJ Power Solutions is managed by Er. 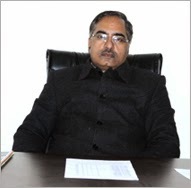 V K Joshi (Retd. XEN, HPSEBL) who with his vast experience in electrical distribution line is dedicated to helping customers find the best power distribution solution for their individual needs. We are a team of passionate engineers & technicians committed to give advice with our customers’ best interests at heart. We treasure our heritage and know that our hard-earned reputation for service excellence and superior product performance has grown out of the years of experience in the power engineeringsector.